Does Your Writing Need to Lose Weight? Need to lose weight? Have You Tried the Writer’s Diet? What do I mean by “lose weight?” Does your prose tend to have too many words? 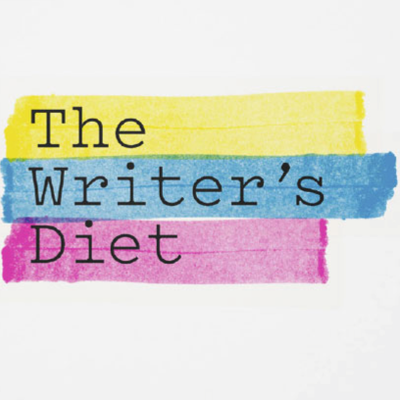 The Writer’s Diet is a great little tool to help you determine the health of your writing. If you paste a sample of your writing in the Writer’s Test, say a couple of paragraphs, it uses an algorithm to check the number of words that fall into categories like ‘nouns’, ‘prepositions’ and ‘verbs’, and then rates this against a five-tiered scale consisting of lean, fit & trim, needs toning, flabby, and heart attack territory. A few weeks back, I checked a few paragraphs from my novel, Serpents Underfoot, with the Writer’s Diet Test and it came up scored as lean. I guess that is better than heart attack territory! I understand that fit & trim is where you ideally want to be, so I guess I can stand to add a few more words to my writings in the future. The Writer’s Diet is not designed to be the “be all and end all” of the wordiness of a selection of prose. According to its creator, Author Helen Sword, great prose can receive scores of flabby or even heart attack territory. For example, stylish writers often play around with their writing in ways the test cannot evaluate. However, the WritersDiet Test is simply a tool for feedback and not a “magic bullet”. A stylish bit of prose may score horribly, and a lifeless sample of text may score well. It is up to the writer to make intelligent use of the feedback provided by the test. I am also trying to make the sentences as symple as possible. Because,To tell what I want to say. You are right, it is important! And good exercise for the brain. I also ran a sample of 465 words from my latest column. The verdict: Lean. I guess we’re the same DC. I’m not sure “lean” is bad. I wonder how we can “improve” our writing. It was kinda fun. Thanks! It is kind of fun, isn’t it!